Dennis Quaid and Kimberly Buffington-Quaid are apparently not in it for the long haul. After announcing a separation in March and rekindling their romance two months later, the longtime couple are now splitting up. 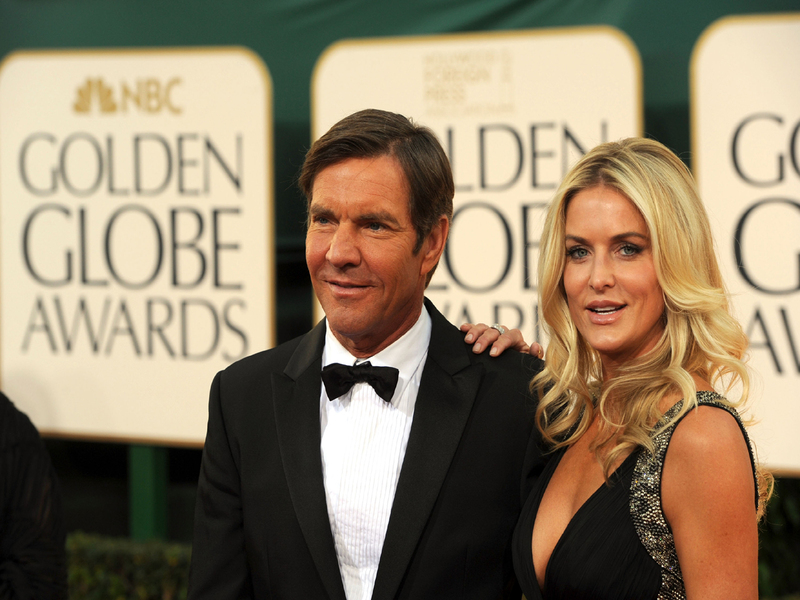 "Kimberly and Dennis Quaid have decided to legally separate after eight years of marriage. They ask that their privacy and the privacy of their family be respected during this difficult time," Quaid's rep told People. No official reason was given for the split, but a source close to the couple told TMZ, "Kimberly is fed up with Dennis' cheating and wants out of the marriage. He's not a good husband." Buffington-Quaid, an ex-real estate agent, filed for divorce in March, only to withdraw the papers months later. The pair tied the knot in 2004 and have two children. Quaid, 58, has been married twice before - first to actress P.J. Soles and then to Meg Ryan. Quaid will appear in the upcoming romantic comedy, "Playing For Keeps," starring Gerard Butler, Jessica Biel and Catherine Zeta-Jones. The movie hits theaters Dec. 7.